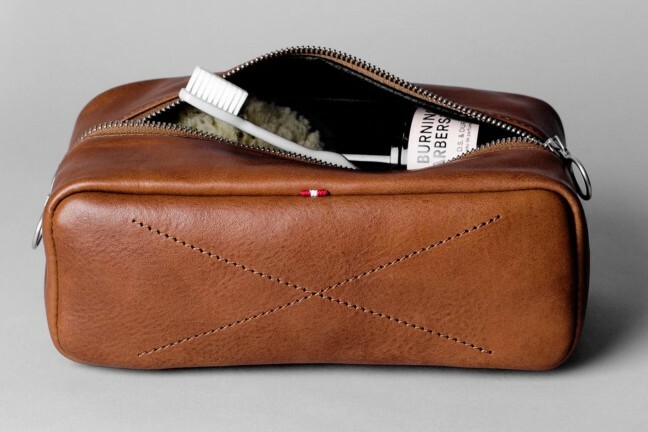 Hard Graft’s most classic dopp design yet, but one that still boasts some neat features you won’t find in a lot of other kits. 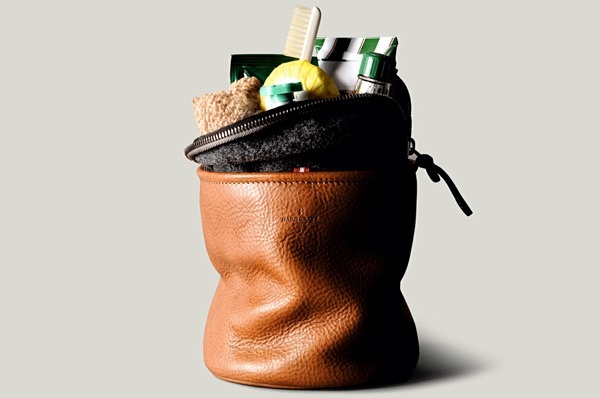 The Refresh Dopp Kit is a vertical bag for your home or travel toiletries. The vegetable-tanned leather exterior can stand up on its own, while the water-resistant wool felt lining (with zipper enclosure) keeps everything nice and dry. Get it for $269 at Hard Graft. This may be the most handsome wash bag I have ever seen. 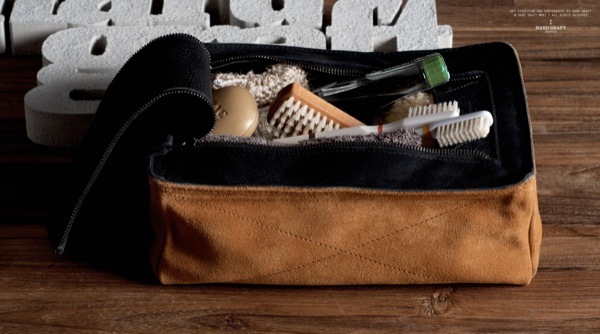 Made from Italian suede and vegetable tanned leather, the DOPP kit bag will make even the oldest of toothbrushes feel new again.